"Very quiet and good value." Have a question for Pension Miami? "Pension Miami is well located near Plaza Catluna and a lot of shops and store." "Hotel well located and convenient in general." "My room was renovated and it was an excellent fusion of new and vintage." This economy hotel, situated in the heart of the old city, is well postured for exploration. Guests will enjoy easy access to a myriad of nearby attractions, including Plaza Catalunya, Las Ramblas, Barri Gotic, Port Vell and the Fira de Barcelona. 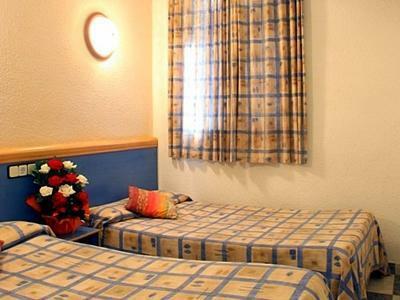 The rooms are simply attired and ideally suited for those traveling on a budget. The Pension Miami Hotel is the perfect hotel for travelers that want a great location for a reasonable price. For reservations of 7 or more nights, special conditions will apply. Good location near Universität Metro and Aerobus terminal in Plaza Catalunya. Very quiet and good value. Bars and restaurants nearby. Will stay again. Good value for money hotel. Not a lot of confort, good for a weekend, not more. Staff is very friendly. 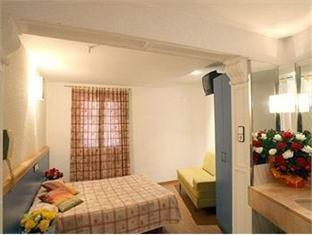 Rooms are clean and have been recently renovated. Walls are thin though and you can hear your neighbours. Lots of noise if you want to sleep in the morning. Hotel well located and convenient in general. Pension Miami is well located near Plaza Catluna and a lot of shops and store. It's central but there are many pubs and restaurants nearby, because is in Raval barrio . My room was renovated and it was an excellent fusion of new and vintage. The only flaw was the nearby streets : carrer de Valdonzella and Carrer de la Verge are usually dirty, and many persons sleep in the streets. Nice workers but fasilities is not that good. Narrow, no service, too bad. Ok. Cheap, but the double room was way to small! We needed to move around on the furniture in order to be able to move from the bed to the bathroom! The area is a bit 'dodgy' with loads of young skaters around. Wi-Fi 10euros per hour only in lobby, bad looking neigberhood and quitr cockroach having shower with you. Maybe we had bad room and other are better but I would not recomend this hotel based on my expirience. We needed to catch an early train the next morning hence extended our stay in Barcelona here. Overall, the location is good however if you're not comfortable with "working gals" nearby your entrance this is not the place for you. Also, the entry seems not the safest. Our stay at the Pension Miami was great. It is located in the center of the city and close to a subway station as well as several bus stops. The staff were very helpful in telling us which buses to take to which locations. Having our own bathroom in our room was also beneficial, although the shower was a little small. It was fine for short two nights stay. room was average size, sufficiently clean. Staff spoke good English. Major problem was that our room did not have any charging point except in the bathroom, so we had to charge our PC and phone in the bathroom. The place is old, run down, overpriced, slow internet, horrible bathroom design, uncomfortable bed, cold room, no lock on door, seedy neighborhood.... I should have stayed at one of the airport places and trained it back and forth. for the price, this is an excellent place to stay. it is within walking distance of many of the main sights/areas and in a very atmospheric neighbourhood with lots of little shops and a small supermarket opposite. everyone working in the hotel was very helpful and very pleasant and nothing was too much trouble. my room was small and on a small internal courtyard so was quiet, the bathroom was very nice if a bit small too; everything was spotless. the only negative was that the walls were a bit thin so there was some noise from others in the hotel and the building next door. on balance i'd recommend it and certainly stay there again. Great service, nice rooms, ok location, well priced. The staff at the hotel were very helpful and all spoke great English, the rooms were spacious and clean with atmosphere, there are computers downstairs to use, it's a 10 minute walk to La Rambla. There is also wi fi available, 12 hrs. pension miami is a small economy hotel located right next to the universitat metro station and the university of barcelona. it is set in a great location, only minutes walk to plaza catalunya and the ramblas, making it very convenient for sightseeing the centre of barcelona, will it be the ciutat vella or el ravel. the price is very affordable as well compared to the other accommodations in the area. 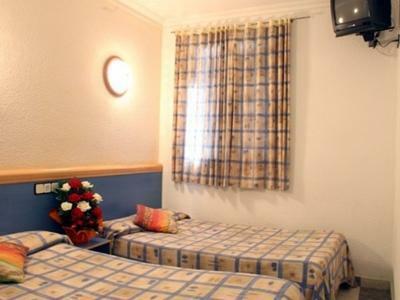 as for the room, they are quite small, but are perfectly fine for a short stay. finally the staff, are very friendly, helpful and all had a very good english. located very near of Rambla,but no street noices.that was a good thing. located very near of Rambla,but no street noices.that was a good thing.And reception crew was also nice.